I can’t say enough about Paul! He was one of the best decisions we made for our wedding. He went above and beyond for us. He did SO much more than just take pictures, he helped us coordinate our wedding as well. He was so fast with our pictures and they are absolutely amazing! He had so many great ideas and was more than willing to listen to mine. I would recommend Paul every time, we could never thank him enough. Paul was with out a doubt the best photographer we could have chosen for our wedding day! Paul V - Our Wedding's Secret Weapon! After working with another photographer and being less than thrilled with our engagement photos, we turned to the venue-recommended Paul V to make a switch; luckily, he still had availability for our fall wedding date. Paul was a professional from the beginning, and though his personality came off a little strong at our first meeting, he certainly knows his strengths and how to incorporate them into his photography. He communicates ahead of time, arrives with a game plan, remains down-to-earth and enthusiastic about every couple he works with, and delivers stunning work. Not only did he travel out to New Jersey where my husband and I met, work, and now live for our engagement photos: he came early to scope out the area and plot the most efficient route to move between special locations to us (first kiss, weekend adventures, church, work, etc.). Organization and efficiency are both priorities to me and what we looked for in vendors, so he truly made an impression that day. Paul really took the time to get to know us, our personalities, and make us feel like we were walking around with a great (eccentric and creative) friend. Needless to say, our second-round engagement shoot was AWESOME. By staying in touch with us throughout the following months of planning, Paul was frankly the glue that held everything together on Wedding Day. 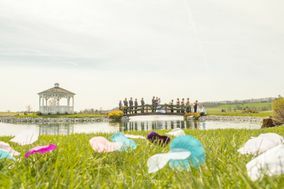 His familiarity with Harvest View Barn could not be beat – he attended our rehearsal to introduce himself to our pastor and coordinator and worked with our florist and DJ to ensure the entire day would be documented, from the details of the rings and bouquets to unpredictable moments on the dance floor and a sparkler send-off. We didn’t want to be caught up in the minutia of everything, and throughout the entire nerve-wracking “getting ready” portion of the day, Paul was the one keeping the bridal party and our families (all 21 of whom he knew by name!) at ease and on schedule, with his jokes and focused approach to directing the day. Paul worked alone, and he probably did the work of three people that weekend (he’s got his wedding formula down to a T), somehow able to find such beautiful natural moments amidst it all. He knew our other vendors and bounced around to grab some not-so-conventional shots, ones that we think truly are the ones we’ll remember. He captured the excitement and overwhelmed emotion in my father’s eyes as he first saw me in my wedding gown and as he handed me off to my groom. My brother played guitar as I walked down the aisle and at the last strum of the song looked over at me with a smile, a moment we’ll both never forget. Our ceremony was full of meaning and Paul was never in the spotlight – he and our pastor both prioritized the reason for the ceremony in the first place and stayed respectful of the moment. Since guests had no idea Paul was even there, when it came time to show off his slideshow at the reception an hour later, we were all blown away by the beautiful pictures. Paul V is an investment you will not regret, and one that will go lightyears further than the “6 hours of coverage on Wedding Day” offered by other vendors. Upfront from the beginning that he’d get every shot we wanted as long as we communicated them to him, his prep sheet helped immensely when we were abiding by hair & makeup timelines, shuffling through multiple family portraits in the wind, and just dealing with the overall craziness of the day. Truly a one-man show, we were overwhelmed by the perfection of each photo (fully edited and ready the day after!) and are so excited to see our album and lite video later this month! A genuine and one-of-a-kind person, he was more than our photographer: we sincerely hope we will be able to work with Paul again in the future. Do not hesitate to trust him with the most special day of your lives – he will go above and beyond all your expectations and WILL deliver. If we could give Paul V 100 stars we would, he was absolutely fantastic! From the time we met, he was very welcoming and did not pressure us into anything. He made our family and friends feel comfortable with his energetic personality and professionalism. He went above and beyond to capture all the special moments of our day. Our next day gallery was amazing and we hope to be able to use him again in the future! Please book Paul V, it will be the best decision you make and it will show in your photos. We couldn’t have asked for a better photographer!! Paul went above and beyond and is totally amazing! We had 50 guests at our wedding. We wanted to capture all the moments we could, not just on the wedding day. Having Paul V on this trip was the best decision we made for this wedding. Not only did we capture our wedding day but we captured so many amazing moments with friends and family throughout the week we were there. Often we miss candid shots our ourselves when we travel simply due to the Hassle of carrying our camera or phone or asking people to take our photos. 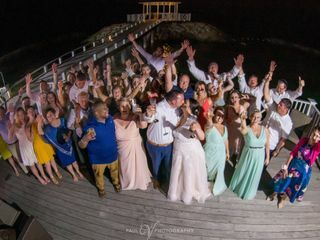 We would have never had these amazing memories if we did not have Paul V. He even worked with the DJ to have his laptop connected to a screen during the cocktail hour in order to show a preview of all the photos for guests!!! We wound up taking everyone on a welcome event pirate dinner cruise two days before the wedding. Without even saying a word I look over and Paul is counting heads as we all boarded the bus making sure we all were there. He did the same when we got off the bus to board the ship and then again when we boarded the bus to return to the hotel!! 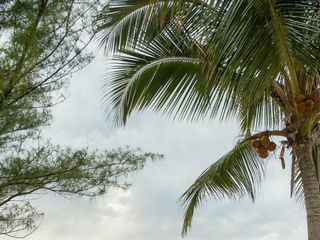 Prior to arriving to Cancun Paul had already researched the resort, did virtual tours and google earth knew the sunset sunrise timings and had already had ideas of where the best shots would be. Upon checkin Paul and I met for the first time. We walked the resort and he already knew what timeline I needed for the big day!!! Paul not only was my photographer for 5 days but he was my coordinator and assistant!!!!!!!!!! He helped me decide what time I needed to be ready, do the first look, do gifts etc and I can honestly say he calmed my nerves!!!!!!!! Without him our day would not have ran as smoothly as it did. Paul did a destinations for us. Not only did he do a phenomenal job but he helped coordinate a 50+ people wedding party. He was with us for multiple days leading up to the wedding and after during that time caught amazing photos of our friends and family. He was working the entire time when we went to bed he stayed up edited and posted the pictures so everyone in the group could enjoy and post to Facebook. Paul is not only a amazing Photographer but a awesome guy! Paul V is the best! If you want remember your perfect day with perfect pictures, Paul V is the photographer you MUST have. 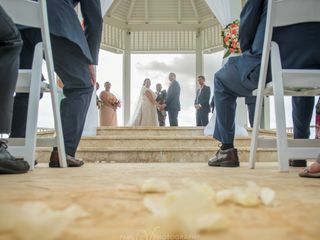 From the initial consultation, to the big day, and everything in between, Paul is devoted to you, and ensuring that you get the best pictures you can dream of. He is super creative and even more energetic. He memorized the names of everyone in wedding party, including family. His pictures...AMAZING. Everyone keeps commenting on how much they loved Paul and how beautiful the pictures are. The point is, Paul V knows how special your special day is, and wants you to have perfect pictures to remember your perfect day. Words cannot express our gratitude to Paul for capturing the love, joy, and beauty of our daughter’s 12.30.17 wedding. He is a consummate professional and perfectionist extraordinaire! Paul possesses an exceptional ability to weave light, emotion, and movement into a still photo, thereby breathing life into the image. After all the planning was done, the vows were shared, the food was eaten, and the last song was played, we have beautiful memories, due in large part to Paul. Thank you Paul V!!! OMG!!! Where do I start....Paul is awesome!!! From our engagement shoot to the wedding he has been the best. I hate that it has ended. Paul captured every moment. 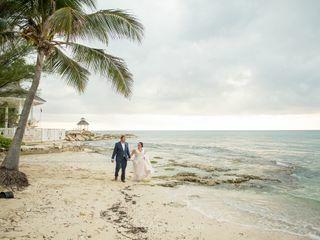 Our wedding was in Cancun on May 26th. There was a tropical storm in the area that was dumping torrential rain and winds. On Saturday it was sunny and beautiful and he captured every moment. Whatever we asked of him, he was accommodating of our needs. He worked well with my guests and the staff at the Royalton where we stayed. My guests loved him too. I’m trying to think of another event where Paul can come capture the moments. Paul V Photography did a phenomenal job capturing photos of our wedding day! Paul was professional, organized, detailed, fun and caring from the first day we met him to well after the wedding. He was fully committed and made sure everything went smoothly. Our guests loved the slideshow (engagement, rehearsal and wedding photos) that was played during our wedding reception and the next day gallery. We are so grateful for the quality pictures that were taken to capture every moment of our special day! I recommend Paul V Photography to anyone. He absolutely loves and enjoys what he does which ensures good quality and professionalism. If I could give Paul V 10 stars, I would do it. He's THAT good. Fun story - I proposed to my husband on The Highline, a famous elevated trail that runs 30+ blocks on New York City's west side. It was a chilly, gray October day, and not ideal for photography. I had a friend (an amateur photographer) hiding in the bushes to take a shot of the moment I proposed, but the light was poor, and she wasn't able to do much/ However, Paul V happened to be in town for a convention and was walking the Highline, saw my proposal, and clicked off 6 shots. They were amazing! He handed my friend his business card, and the rest, as they say, is history. From the moment we booked Paul, he was a total delight to work with. He's very communicative, super transparent, and very affordably priced. He met us in Staten Island for our engagement shoot, and we knew as soon as we saw those shots that our wedding was in good hands. Leading up to the wedding, Paul was always in touch with us, making sure we were all on the same page and that we were getting what we needed. On the day of our wedding, as expected, Paul knocked it out of the park. It was not a nice weather day, but Paul didn't let that stop him from getting some amazing shots. He also does a great job of acting as a surrogate day-of wedding planner, deftly managing various family dynamics, keeping us all on schedule, and most importantly, keeping the chaos of it all away from my husband and I.
Paul's work speaks for itself - he's super talented. But he is a true professional, and anyone would be lucky to have him photograph their wedding. We cannot say enough amazing things about Paul. He was wonderful, our pictures are gorgeous and our whole family loved him being there! This past Sunday Paul photographed our wedding. The results are far beyond my expectation!! I was a very camera shy bride, and Paul still managed to capture all the joy we had in our special day with friends and family. My husband and I were going through our gallery (which arrived the next day no less!!) and we were blown away. Each picture was better than the last. We were running out of compliments as we went through them! Hiring Paul was as our photographer was the best choice we could have made. He should be your first stop if you're looking for a photographer. 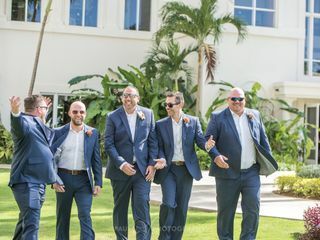 The formal pictures are stunning, but it's the candids of our day that show the joy we had in our marriage and time with our friends and family. Thank you again Paul. You're head and shoulders above the rest! When we decided to hire Paul it wasn't a choice...it was a need. I knew Paul was in the Photography business through mutual colleges, but little did I know how big he made it here in central PA. He’s been the best and stayed the best because he is just that. Our journey with Paul started in Baltimore, MD. Bob & I had our first couple photo-shoot all over downtown Baltimore. Paul was incredible...he knew where to park, where to shoot and even what hotel to sneak into for a fabulous glass of cucumber water. Paul knew where the best place was to foreshadow our Jamaican wedding on an outdoor sandy volleyball lot in the cool September weather. Paul is prepared for everything. Bob & I hired Paul because we didn’t want to ever have to think about anything, we just wanted to be ourselves and enjoy the moment. And Paul let us do just that. Regrettably my mother passed from cancer on December 5th. 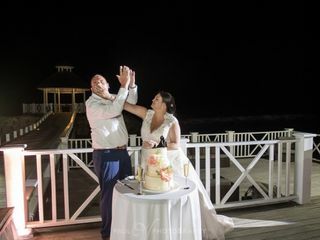 My husband and I were to be married in Jamaica on December 9th. Paul was there and he was very supportive and even captured a vows ceremony that my father, my husband and I arranged so that my mother could witness it before she passed. There aren’t many human beings that reach out to this extent to be with a family in such a delicate, emotional, and very complex situation. He captured a significant moment my father and my mother’s sisters and I will never forget. Following that moment, per my mother's wishes, we continued on with our wedding. We traveled to Jamaica along with Paul and his support and attentiveness were just as impressive. He was constantly on the move, scouting all the great photo ops, and in constant contact with us. He captured tons of candid shots of our guests during their stay as well. On the big day he was equally helpful as a personal wedding planner helping coordinate things along with getting all the important shots. Throughout everything, Paul was amazing and exceeded our expectations with the experience and end results. Without a doubt, Paul receives 5/5 stars from us! We decided to book Paul for our destination wedding in Punta Cana. 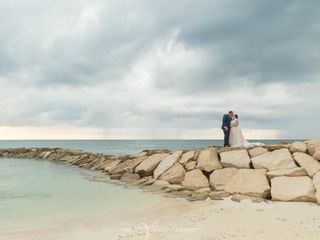 After booking I contemplated whether taking a photographer along with us on our destination wedding would be “too much”. Not at all! Paul was PERFECT! We loved him at our engagement picture session and immediately knew we made the right decision to take him along with us to Punta Cana. He stayed with us for 4 nights and captured the trip perfectly- wedding day, dinners, family pictures at sunset, Catamaran, & fun at the pool. He fit right in with our friends & family and quickly became “Uncle Paul!” My 10-year-old niece couldn’t have been happier when he pulled out his water proof camera and tossed it in the pool for her (& everyone else) to use. Paul has it all covered! On wedding day Paul was more of a wedding coordinator than our actual wedding coordinator and he put the entire day at ease for us. Paul got pictures of each bridal party getting ready and picked out perfect locations on the resort to take bridal party pictures before and after the wedding and now we have the most beautiful wedding day pictures we could ever ask for! Paul was there when we needed him and never once did I feel overwhelmed. Our family and friends absolutely loved him and were happy that he was there to capture memories for them as well! We took Uncle Paul with us on an excursion and, yet again, he was a Rockstar! He captured memories all day and tossed his water proof camera in the Caribbean for us to get underwater pictures. He was patient with our group and made getting pictures taken so easy! You can tell that Paul is passionate about what he does, and it shows in his work. Paul is hands down the best investment we made for our wedding and I highly recommend him to anyone that is looking for a fun loving, highly-skilled photographer! We cannot say enough positive things about Paul V! Thank you, Uncle Paul!!! Paul was one of the best wedding planning decisions we made! We met Paul at a bridal expo and knew on the spot we needed him to photograph our wedding. His energy and enthusiasm for weddings and photography was impressive. You could tell he just loved what he does and his main goal was to create beautiful memories. We got to know Paul a little better at our engagement session. He was very particular about the weather for the shoot to ensure we got the best photos we could. We spent hours taking pictures and we saw how his eye for landscape and lighting really gave us amazing photos. On our wedding weekend, Paul came up to State College for the rehearsal on Friday to meet the family and put names with faces. He also graciously photographed our niece’s baptism which we had right before the rehearsal! The morning of the wedding he had everyone’s names and ‘roles’ down pat, again impressive. He was more of a wedding planner and was exactly where he needed to be at the right times. He went out of his way to communicate with the day of coordinator, florist, DJ, etc. He also coached our wedding party and family on various events to ensure everything ran smoothly. We again took pictures for hours before the ceremony and he was a one man show. Different cameras flying around and getting all the best shots, we were all impressed. Paul never acted like he was on the clock, the entire day (weekend really) was devoted to our wedding! Our family and friends were so happy with how friendly and enthusiastic he was. It was also amazing to see pictures of the wedding day at our reception on the monitor! The large next day gallery was fantastic, I can’t imagine waiting weeks for wedding pictures, Paul had ours done in 24 hours. We are so happy we picked Paul V Photography for our wedding day, he really knocked it out of the park. I was lucky enough to have Paul V photograph our wedding day. Our pictures turned out 10x more beautiful than I imagined. It should have come as no surprise because he did our engagement session and those were incredible as well. Paul is top notch. He is so much more than a photographer. Not only did he work hard to capture every single beautiful moment but he immersed himself into our day to make sure everything ran smoothly - almost acting as a coordinator and photographer all in one which didn’t go unnoticed by family and friends. We received endless compliments on how he handled himself the day of the wedding and of course tons of compliments on the photos - they are STUNNING. Everyone appreciated his energy, his humor and were absolutely blown away by the slide show he displayed during the reception and the fact that he had a LARGE next day gallery. His flexibility in helping make our day special and his timeline on how the day was going to flow were amazing. He had a lot of really great suggestions to help our day run smoothly and we are really glad we took his advice. I knew the day of the wedding I wanted to make as few decisions as possible so I asked Paul to make as many executive decisions as he possibly could (in terms of photo location and things like that) and he nailed it. He also made it a point to get to know members of the wedding party (including parents) so that he could call them by name. It might sound small but honestly it ended up being far bigger than I thought. It really did help make photos run smoother and it made him feel like family by the end of the day. I’ve been part of a lot of weddings and I’ve never seen another photographer do this so they usually just go through the day feeling like a stranger taking your picture. Who honestly wants a complete stranger capturing some of the most intimate moments of your life? He truly cares about his clients and he sincerely has fun during his shoots which shows through his work. Paul is just simply amazing. From start to finish everything was flawless. Paul was with us on our journey from being engaged to getting married. He photographed our engagement session and made us feel so comfortable in front of the camera. Fast forward to the wedding day, and Paul did not disappoint! He exceeded all of our expectations. Paul isn’t only a photographer, he truly is a coordinator in the sense that he comes equipt with anything you can possibly think of you might need (hot glue glue, pins, etc.) in case of emergency! Luckily he does because we needed it a few times! Paul captured all of our special moments which is impressive for one person to accomplish! Another added bonus is the next day photo gallery! This was obviously a big hit for us but the guests loved it too! I truly can’t say enough good things about Paul! I would absolutely recommend him to anyone looking for an amazing photographer! I cannot say enough positive things about Paul V. Between our initial meeting, the engagement photo shoot, save-the-dates, a pre-wedding meeting, the rehearsal, Wedding Day, and going through the next day gallery with our family... Paul did an amazing job. He wanted to know what we wished to get out of the photos, learned all our family's names, coordinated with our vendors, and gave us memories that will last a lifetime. I found Paul at a Bridal Expo and booked him on the spot. His personality is what hooked me; fun, caring, and professional. Paul was amazing through every step of the way. He's a little more expensive than average; however, he was worth every single penny. Plus, when you pay for Paul, you get him the ENTIRE day - No fee by the hour or anything like that. He sent small thing to us like countdown pictures before the wedding, excelled in communication, and genuinely cared, not just about capturing the best moments, but making every part of our day special. There was not picture I didn't fall in love with. I could go on and on - I just can't say enough good things. I would highly recommend Paul.